It’s a lovely spring day in London but there’s still a bit of a nip in the air, so I’ve teamed my new Jemima Vine snake print slippers with this cosy Mint Velvet sheepskin coat. 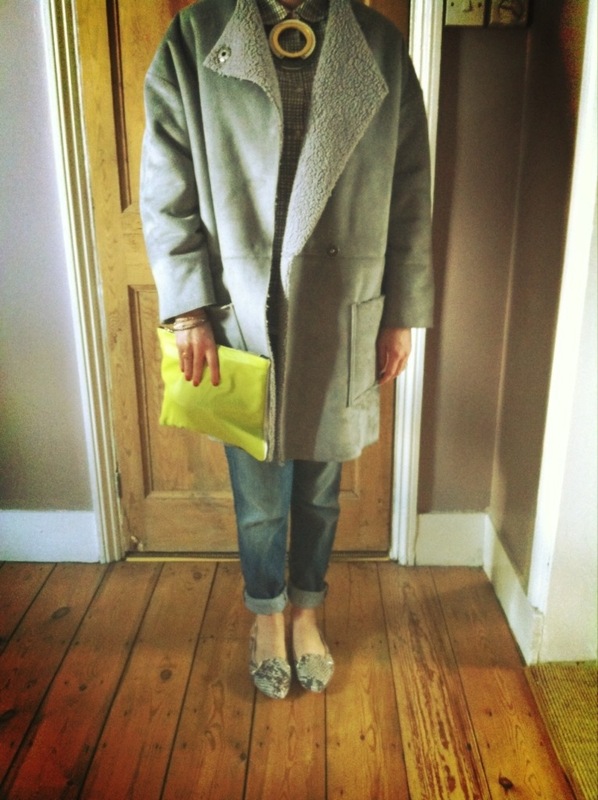 As it’s Sunday, I’ve gone for casual jeans, and the neon clutch is by Sarah Baily. I wasn’t the only one with this idea today: here’s me and my friend Alex (of the-frugality.com – a great blog – read it!) 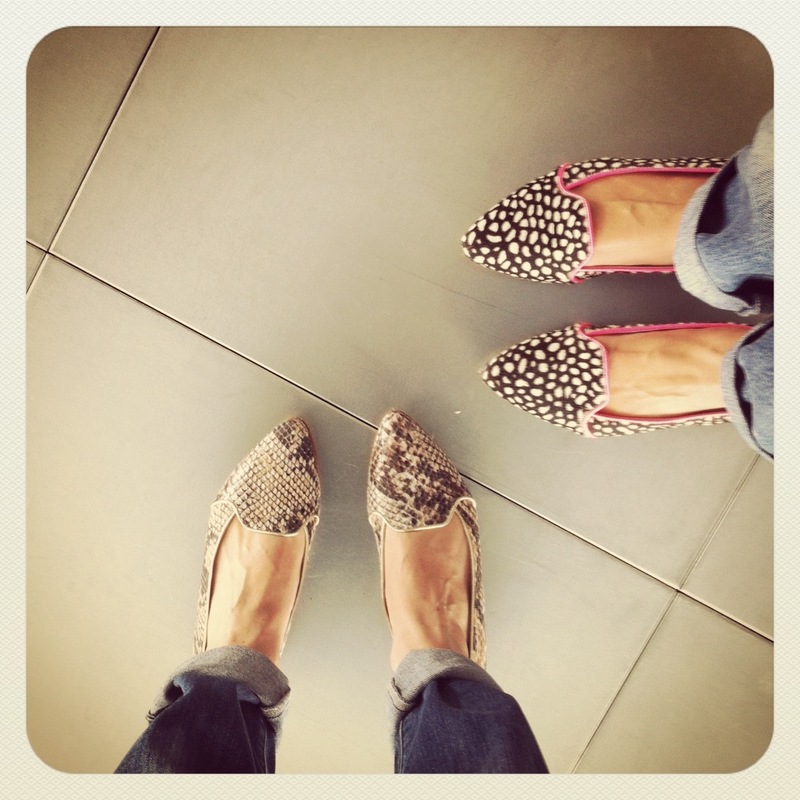 wearing different versions of the same shoes at Preen. As they say in Japan, PairLook!